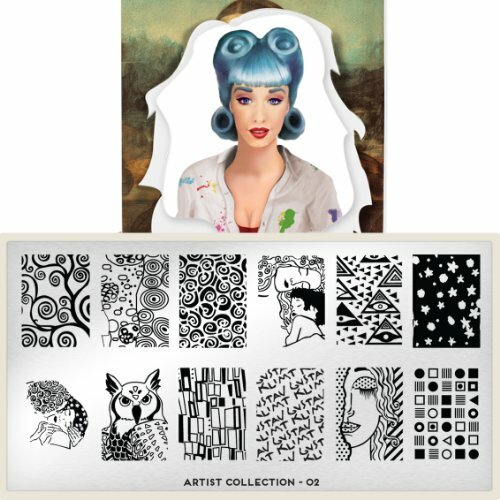 Visit our website for all of our Image Plates, new ones added every week! 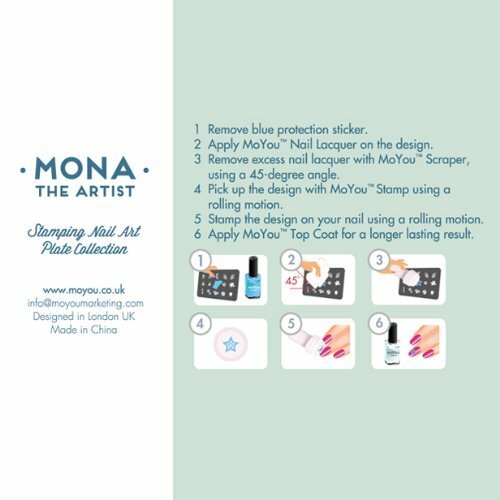 1) Nail polish – for best possible results use MoYouTM Special Nail Lacquer, although other brands could work as well. 2) MoYouTM Stamp & Scraper. 3) MoYouTM London Image Plate. 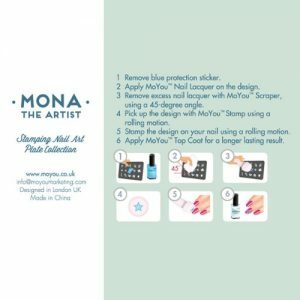 3) Remove excess nail lacquer with MoYouTM Scraper using a 45º angle. 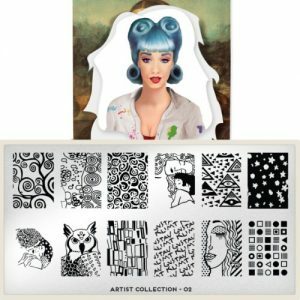 4) Pick up the design with MoYouTM Stamp using a rolling motion. 6) Apply MoYouTM Top Coat for a longer lasting result. Please remove the plastic cover before using the plate and follow the instructions below. 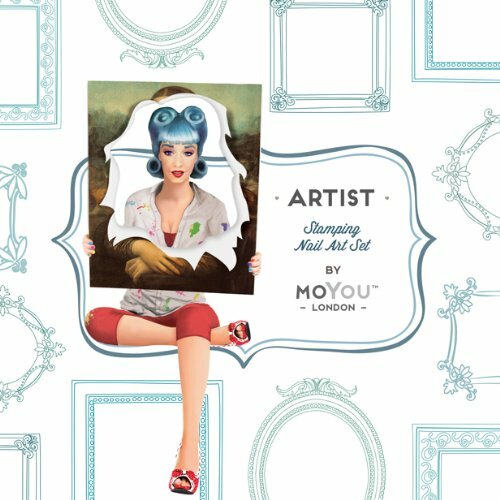 Visit our Facebook page (MoYou-London) for free giveaways and competitions.